Why Passion Heating & Air? 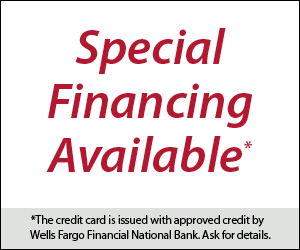 Now Offering Financing Through Wells Fargo. (Subject to credit approval.) Submit an application. Keep your home cool in the heat with our state of the art air conditioning installation, maintenance and repair serving the greater Charleston area. Our main heating and cooling office location is in Johns Island, SC; however, we provide air conditioner service for all of Charleston and Berkeley Counties. Passion Air's emphasis is on quality work and customer service for all existing and new customers. For those in the Charleston area, we know how important it is to maintain a comfortable living and working environment, making it necessary to hire the right AC contractor. Passion Heating & Cooling offers exceptional heating repair services to Charleston and Berkeley Counties. In the process we strive to uphold a reputation of providing quality service to many families in the area. Passion Heating & Air prides itself on exceeding customer expectations and providing heating and cooling services at competitive prices. No matter what your heating repair, maintenance or installation need may be, Passion Heating and Cooling in Johns Island is equipped to provide a quality job that will exceed your expectations. Many Charleston and Berkeley county homeowners do not realize the dangers of air pollution that exists inside their South Carolina homes. The EPA states that the average person spends about 90% of their time indoors, and studies have shown that indoor air pollution can sometimes be two to five times to even 100 times higher than outdoor air pollution. 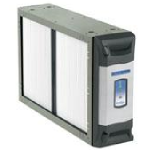 Allergens such as dust, dirt, and pollen are circulated around our indoor living space, and we continue breath this air for many hours. Passion Heating and Air is committed to providing the ultimate in quality, friendly and efficient service. We assess your unique system making accurate recommendations saving you costlier repairs in the long run. We provide you with a fair estimate answering all of your questions and putting your mind at ease. Our LEED certified technicians provide quality repairs and maintenance with a 100% guarantee. Awesome service from Passion Heating and air...called for help and they were on site within 30 minutes and quickly fixed the heat pump and corrected ALL problems..completely thorough !!! Very honest and reliable and are my new company of choice...! Highly recommend them !!! What a great surprise. The best HVAC contractor we have found on Seabrook Island. Highly Recommended!!! John was great. Prompt, courteous, professional, explained everything without me getting out my checkbook before he left. I plan to use them from now on for my heating and air and will know I don't have anything to worry about! John has been out to service my existing HVAC setup twice as well as separately provide an estimate for a potential new system. Each time he has arrived on time and been extremely professional explaining both the good and bad. I would recommend John. 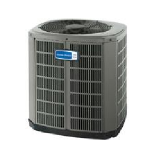 John has serviced my HVAC over the last year and given great service and great advice! Don't hesitate to give him a call, you'll be glad you did! Passion Heating and Air is definitely the company to call for heating and air conditioning issues/maintenance. John fixed our central heating system, gave us an honest and reasonable price and was a pleasure to work with. He was friendly, efficient and professional! I would recommend Passion Heating and Air to anyone. Great quality company. Didn't try to sell me stuff I don't need. Clean cut honest tech had no problem letting inside my home. Up front and honest would recommend to anyone. Great guy, great service, will definitely continue using this company for all of our hvac needs! I was really impressed with the service I received and will continue to do business with them in the future. The owner himself came out to do my HVAC inspection. He was on time, professional, and thorough. I would highly recommend this business to others. He showed and explained everything to me in detail without me having to ask, and was very patient with my questions. Excellent customer service! Great job! On time, thorough, and knowledgeable. If I have any A/C or heating problems I will definitely call Passion Heating and Air. Professional, friendly service tech. did an excellent job and explained what and why he was doing it. I will definitely have them back.